This is a part of a series of posts I am doing related to a summer trip we took to Hawaii this year. We traveled as two families – four kids were with us, ages 9-13. 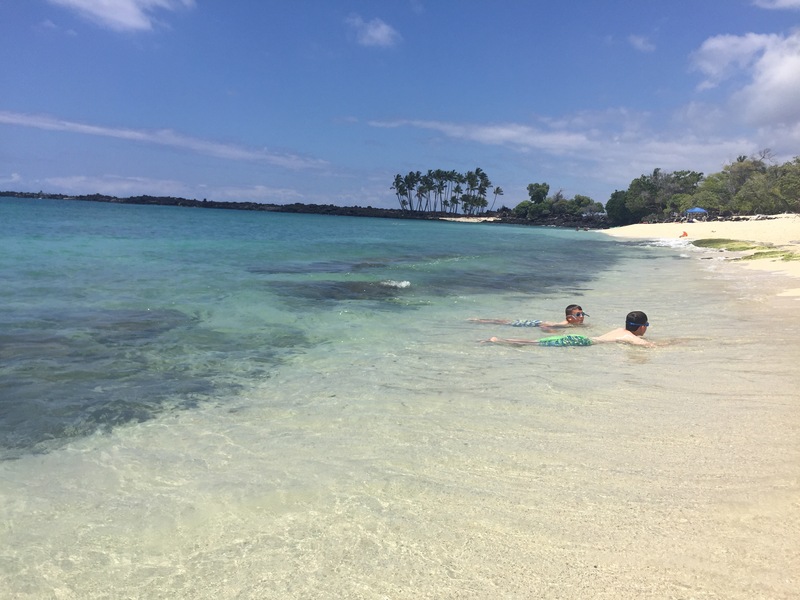 Check out some of my other posts: Oahu with Kids and Jet-Lagged & Home from Hawaii. 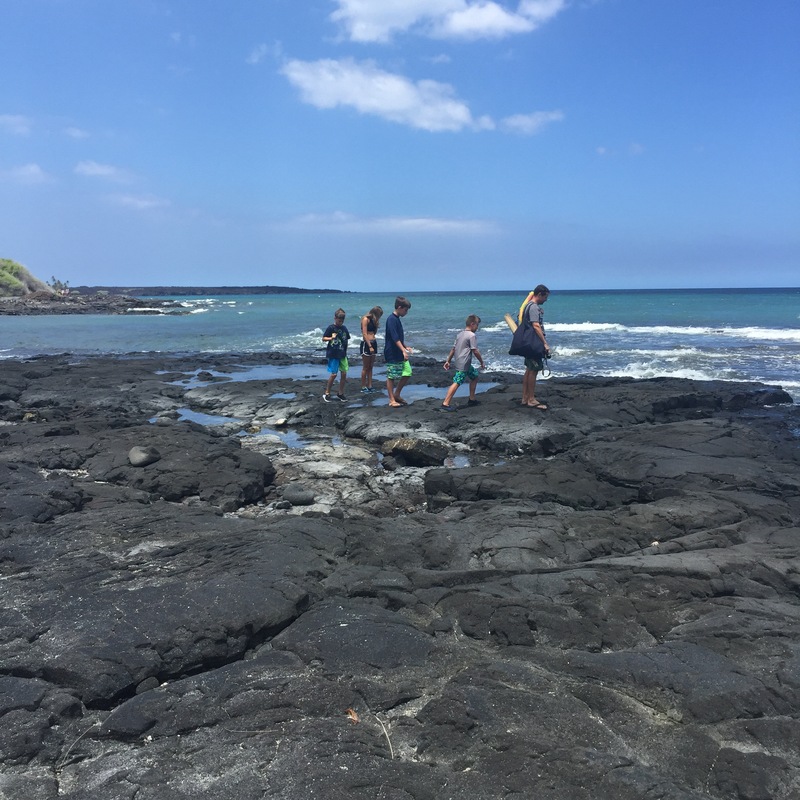 I’m bringing some of my experiences to you guys hoping that those of you traveling with families to Hawaii might gleam some recommendations of interest from us based on what we did. 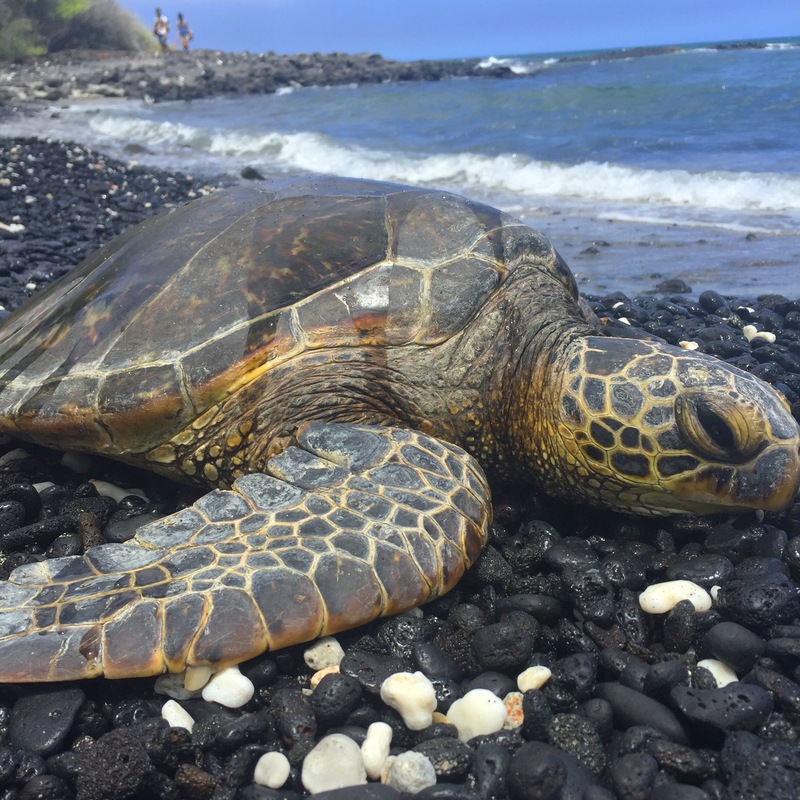 We spent six days on the Big Island of Hawaii. Random factoid: there are seven islands in Hawaii. Did you know if you took the other six islands and laid them on top of the Big Island of Hawaii, there would still be land left over? It’s huge! Of course, you can still drive it in a day but after having been on Oahu, it did feel big! We stayed north of the town of Kona, in Waikoloa at the Hilton Waikoloa Village. It’s about 20 minutes north of the Kona airport. I’m going to bring you guys a separate review of the Hilton because there’s just so much to say about it that it’ll have to fit into another post. They have fabulous luau and Dolphin Quest – the only dolphin experience on the island. Needless to say, the kids loved that experience & everything about the hotel so I’ll share more about it in another post. I really liked staying in Waikoloa. There’s a lot going on there including some fabulous restaurants like Roy’s and Tommy Bahama. There’s a Starbucks if you need a fix and an Island Gourmet, which is a small grocery store that covers most of your needs at pretty decent prices. We stopped there regularly for everything from sandwiches to take hiking to sunscreen to water shoes. 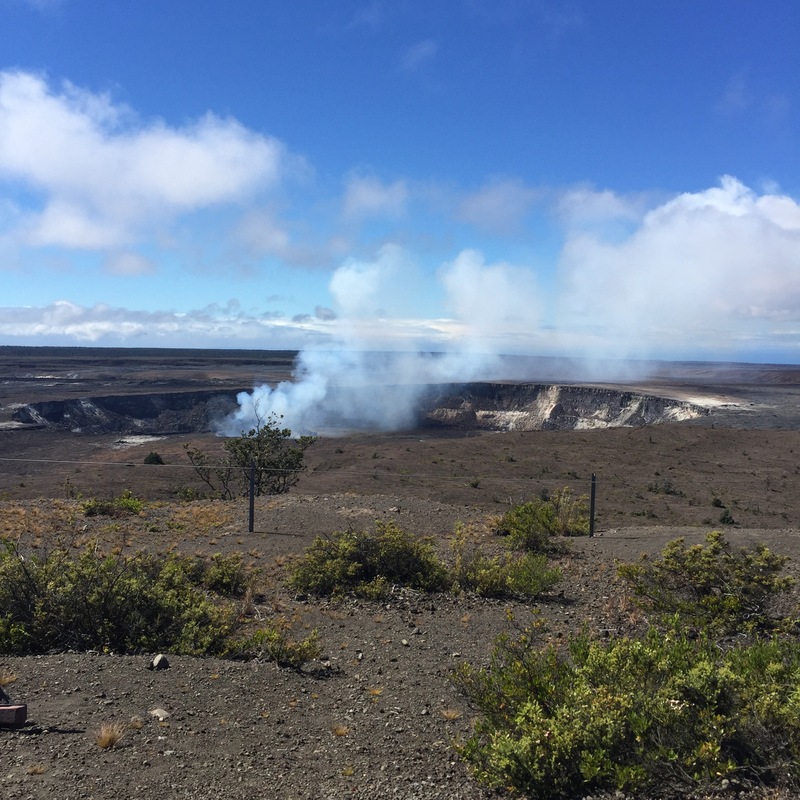 So the biggie spot to visit on the Big Island is Hawai’i Volcanoes National Park. There are five volcanos that make up the big island of Hawaii and this park is built around Kilauea, which is the only currently active volcano. 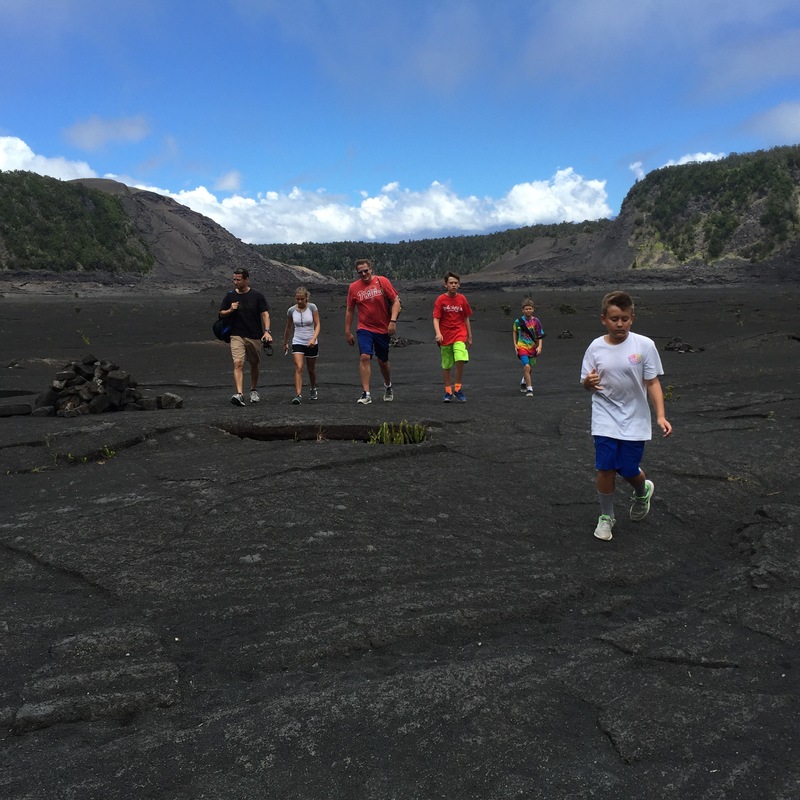 In fact, at the time of this blog, the volcano is actually erupting and there is lava flow you can see if you are willing to take the hike out to it (about 8 miles) or charter or go on a group boat tour as the flow is going into the ocean. 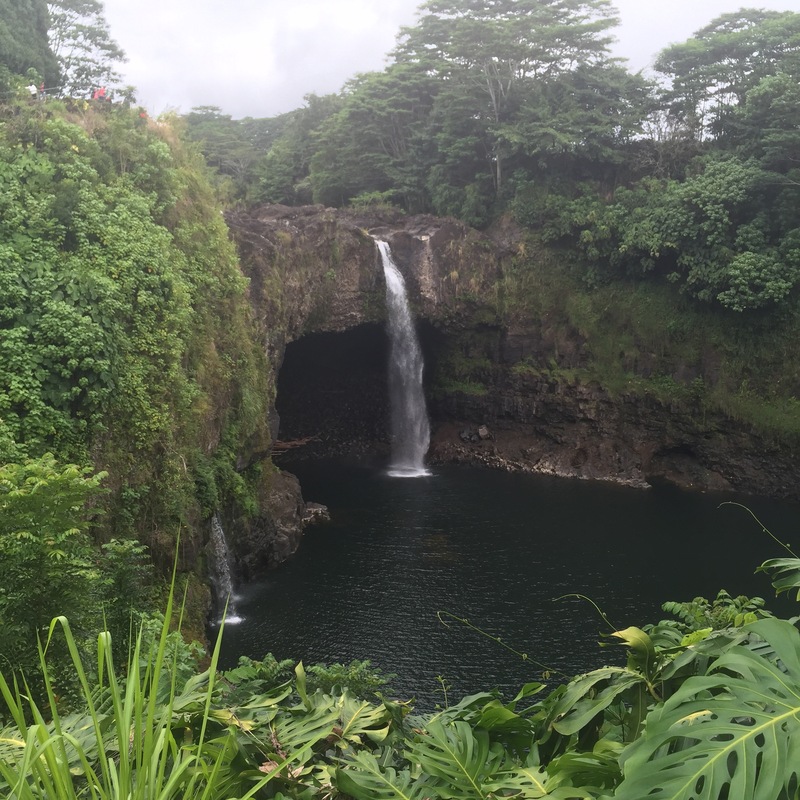 Tip: We drove into the park – it was $20 for our car, which by the way, is a must have on the Big Island. There’s so much to see and do: renting a car is a must and make sure it’s an SUV because there’s some off roading you need to do if you want to be even a little adventurous. 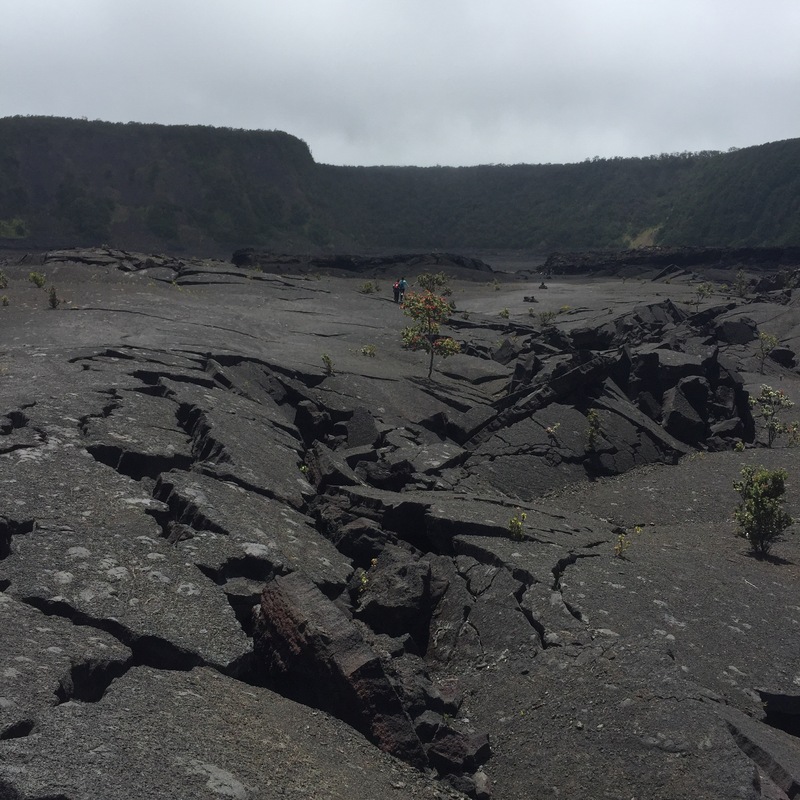 This is Kilauea crater – you can see it from the Jaggar Museum, which is inside of the Park and you can get to it by driving. There were 8 of us – two families with kids between the ages of 9-13. 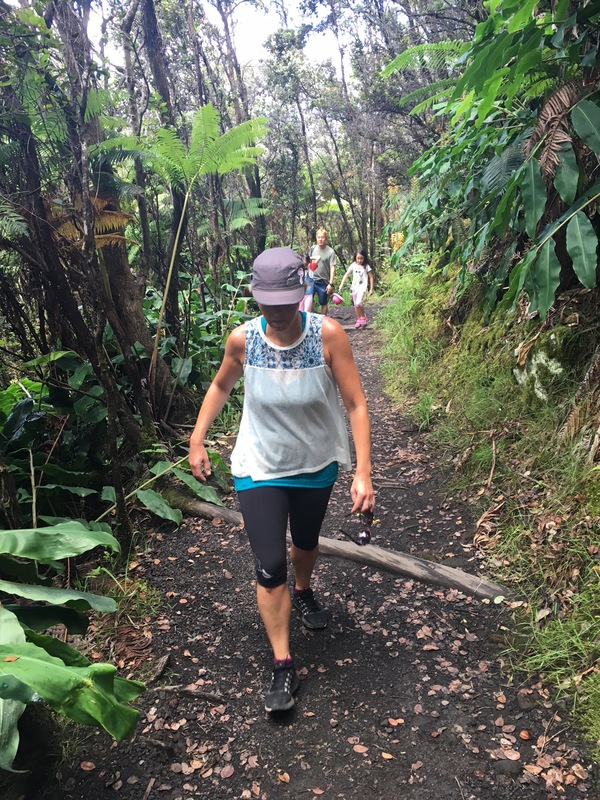 We did the Kilauea Iki Trail which is a 4 mile hike. It actually ended up being 5 miles as we added a small .5 mile hike at either end. It was challenging but really fun and took us the better part of a morning. You literally walk over the floor of a “lava lake” as well as through part of a rainforest. I recommend it for active families – bring water! 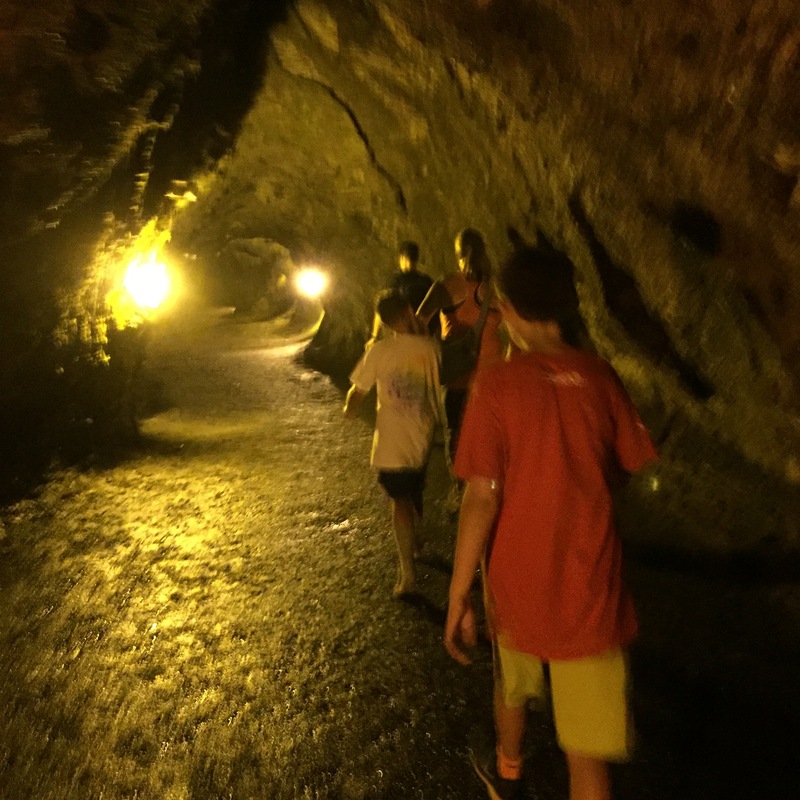 It ends at the Thurston Lava Tube (pictured below) which is totally cool and just what you would expect – a cavern carved out by lava that you can walk through. It was an awesome experience I don’t think my kids will ever forget and even more fun to do with friends. 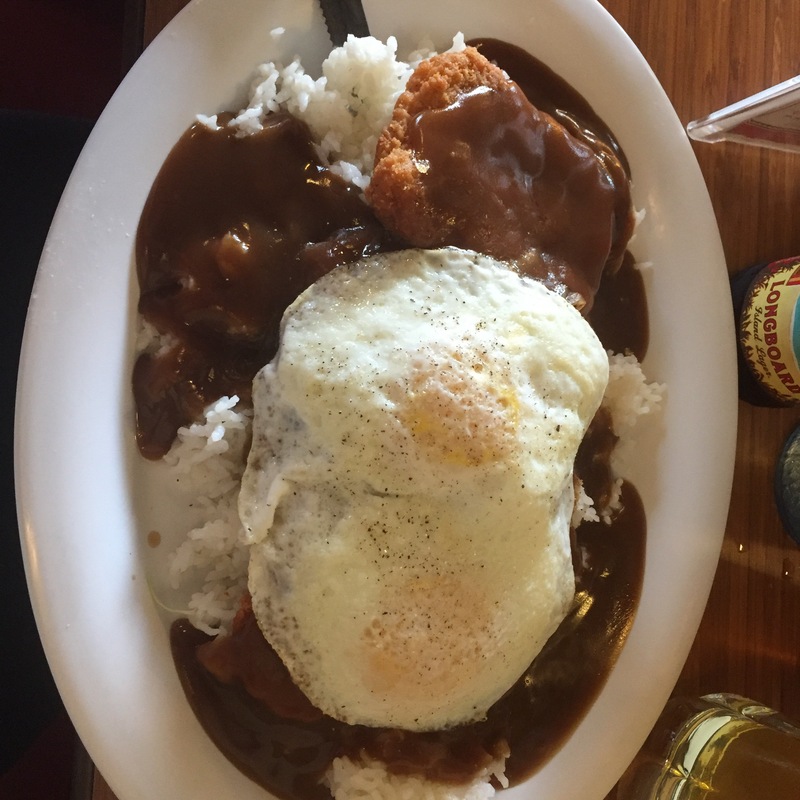 After our morning at the park, we had a very late lunch in Hilo – the other bigger city/town in Hawaii. It’s a lot closer to the volcanoes and they have resorts there too by the way. And an airport. 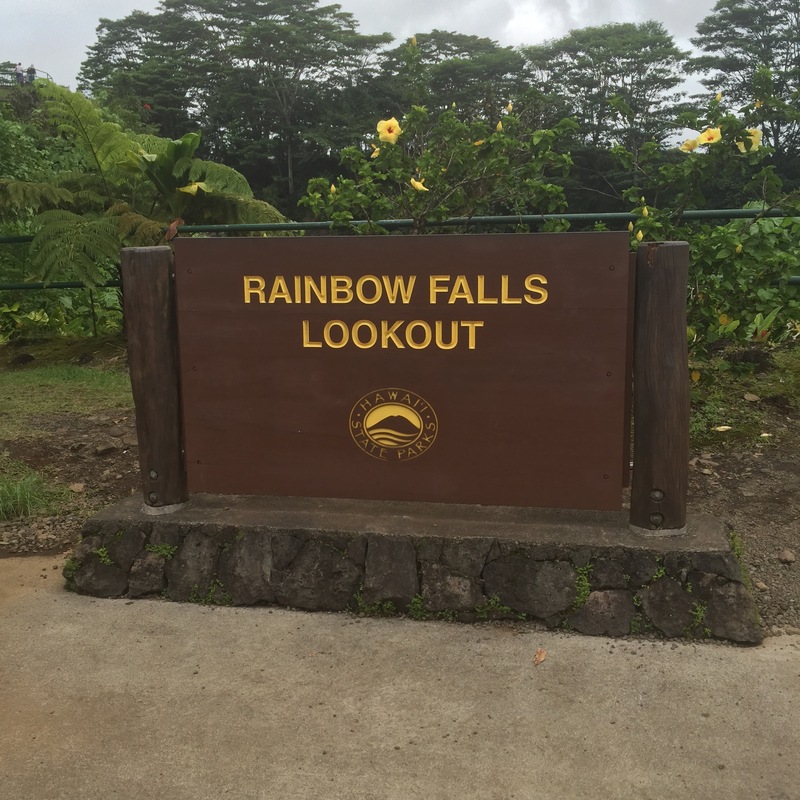 After lunch, we made a quick bit stop to Rainbow Falls, which is just a couple of minutes outside of Hilo and a gorgeous waterfall. No hiking involved; you park in the lot and the falls are right there. It’s called Rainbow Falls because apparently more often than not, there is a rainbow in front of the falls. There wasn’t one when we visited but we saw a rainbow almost daily in Hawaii somewhere in our travels so it was cool. There are SO many hidden gems on the Big Island. And for being an island that is visited on a daily basis by thousands of tourists, it’s amazed how much still seems untouched. So remember how I was telling you guys that you need an SUV to get to some of the cooler spots in Hawaii? This is where it comes in. Much of the land on the big island is lava field – driving around is such a surreal experience. It feels like you’re on another planet at times. 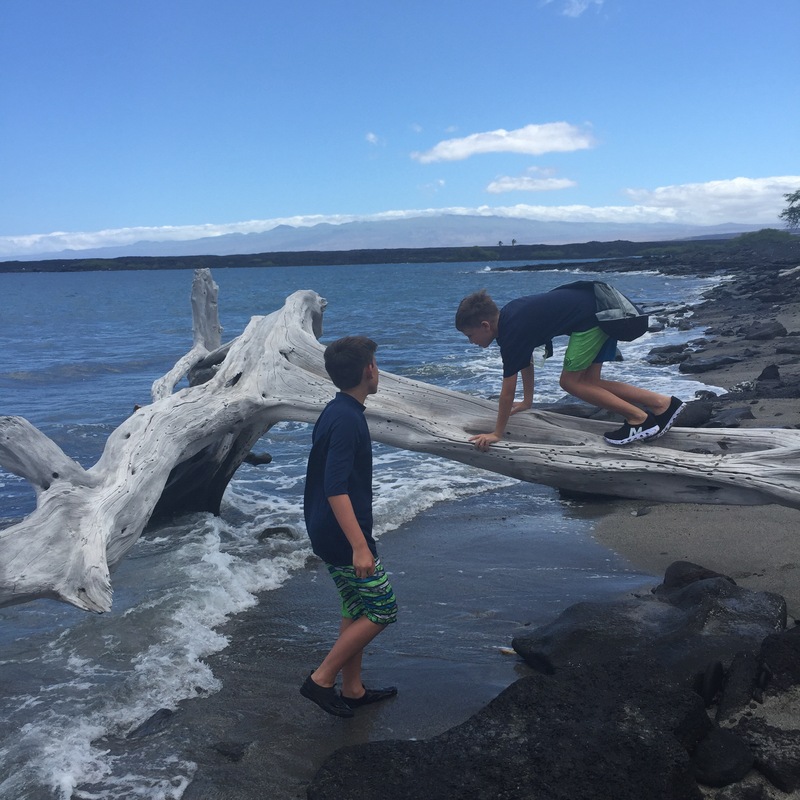 To get to some of the beaches, you have to drive over paved lava or unpaved and VERY bumpy roads. Here’s two we visited that were just PHENOMENAL – so much so that we went back to one of them twice! These are both on the Kona side of the island by the way, north of Kona but south of Waikoloa. The first is Kekaha Kai State Park. It was a bumpy mile-or-so ride in but once you are in there are port-o-potties and it’s just a short walk over a lava field to get to some pristine and virtually empty beaches. And the second place I want to mention is Kiholo Bay. This is the spot we went to twice and is one of my favorite memories from our two weeks in Hawaii. Our friends were zip-lining one day so I asked someone at the Hilton to recommend a good beach and this was one of her recommendations. It’s a little more paved getting into this spot but there’s some hiking involved once you are there. We went back a second time with our friends a few days later because we loved it so much! You basically park and walk about a mile north to get to this spectacular little pond/lagoon where the turtles are ALL OVER THE PLACE. Along the walk, there are plenty of turtles to be seen either hanging on the sand talking a nap in the sun. 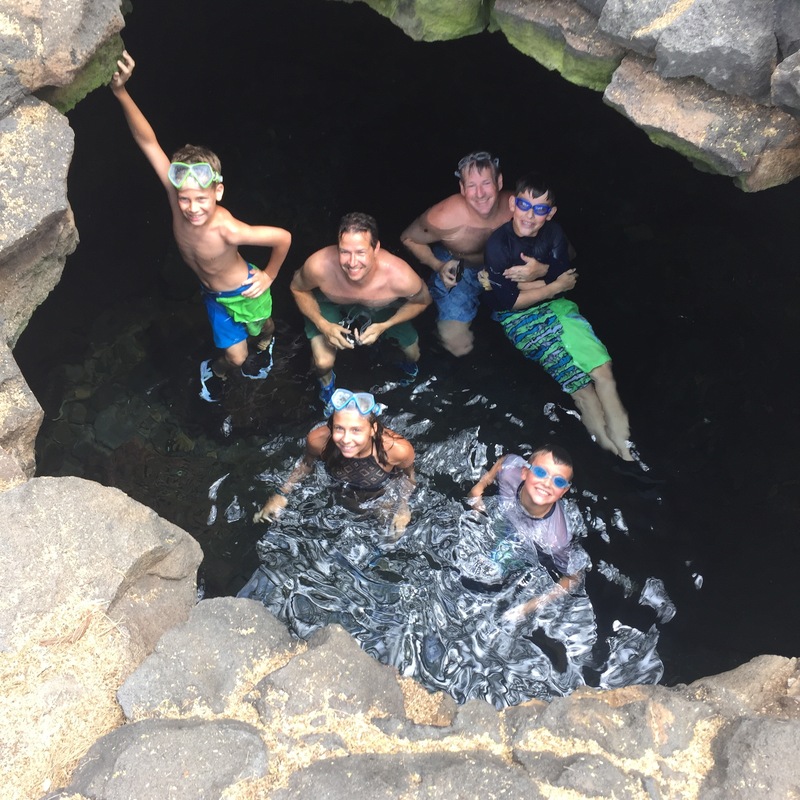 There’s also a little spot where you can swim in a freshwater lava tube – our kids loved this and did it twice! If you go anywhere for a day trip, I highly recommend this. WEAR SAND SHOES though. The beach is full of black sand and black rocks and you’ll cover a lot more ground in shoes than you will in flip flops. That’s it for today’s post – I know I’m getting long winded! If you made it all the way down, you are a rock star! 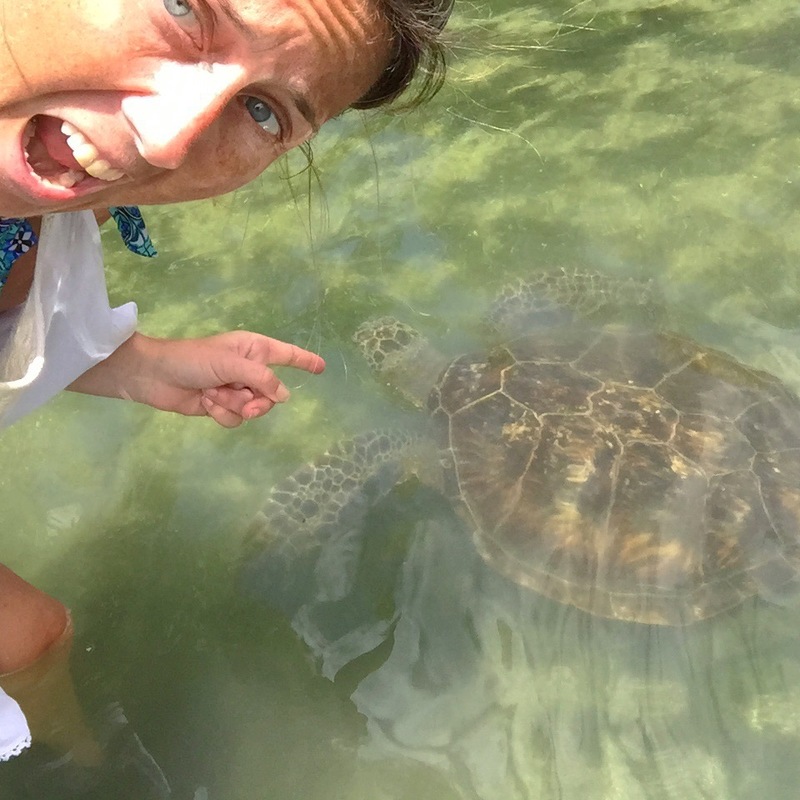 Look for part two to this post shortly – our hotel and dolphin experience on the island were amazeballs too.